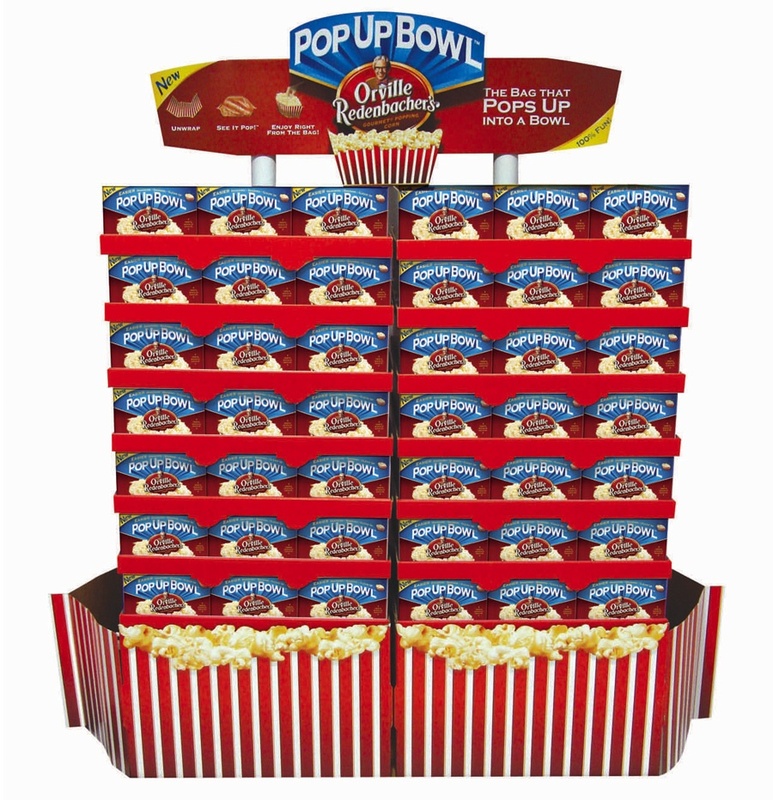 The Orville Pop Up Bowl is a first-to-market microwaveable popcorn bag that expands into a wide-mouthed, disposable bowl for easier snacking, sharing and clean-up. HANGAR 12 disrupted shoppers with an award-winning retail display-to-device activation that helped contribute to both Orville’s highest ROI in years, and a jump in the overall microwave popcorn category. With microwaveable popcorn sales steadily declining while competitive salty snacks experienced growth, Orville’s bag-to-bowl packaging innovation looked to change that. Backed by a huge media budget, the brand sought to communicate the redesign's key benefits and grow the category. We had a blast trying to find the best way to bring Pop Up Bowl to life in-store. Because we know the shopper pretty well, we also know that advertisements highlighting a singular message have much higher conversion rates than ads overloaded with reasons to buy. In a crowded grocery aisle, this notion holds even more true. An impactful retail strategy for introducing Pop Up Bowl would have to communicate more than one message, stand out to disrupt shoppers, and impact sales. The Orville Pop Up Bowl opens as a wide-mouthed, disposable bowl for easier snacking, sharing and cleanup. Its bold, intrusive packaging features two see-through sides, allowing consumers to watch as the kernels pop, preventing burnt batches. Our displays showcased a 3-D version of the bag-to-bowl design and communicated the eating experience through easy-to-digest visuals. We simplified the brand’s message, extending it via QR code, activating streaming instructional video. Versatile shipper/display formats accommodated specific retailer needs, making it easier for trade sell-in. 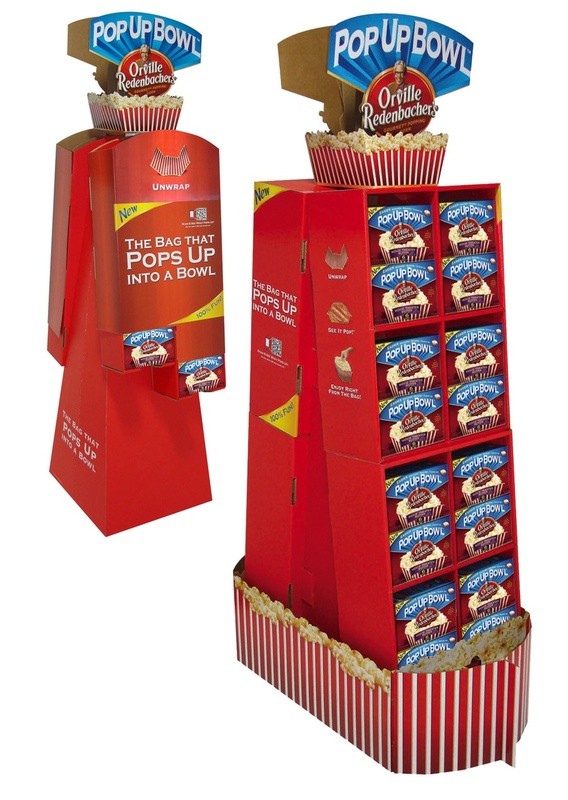 Pop Up Bowl invigorated the microwave popcorn category, and positively impacted the retail experience. Averaging 15-20% higher sales than the SKUs it replaced, Pop Up Bowl crushed an 8% lift objective while delivering 37% brand incrementality for Orville. The butter topping? Orville’s largest retailer reported a 51% new user base, 16% of whom had never purchased in the category. Orville’s dollar share climbed +1.2 points with Pop Up Bowl experiencing average weekly lifts of +16%. 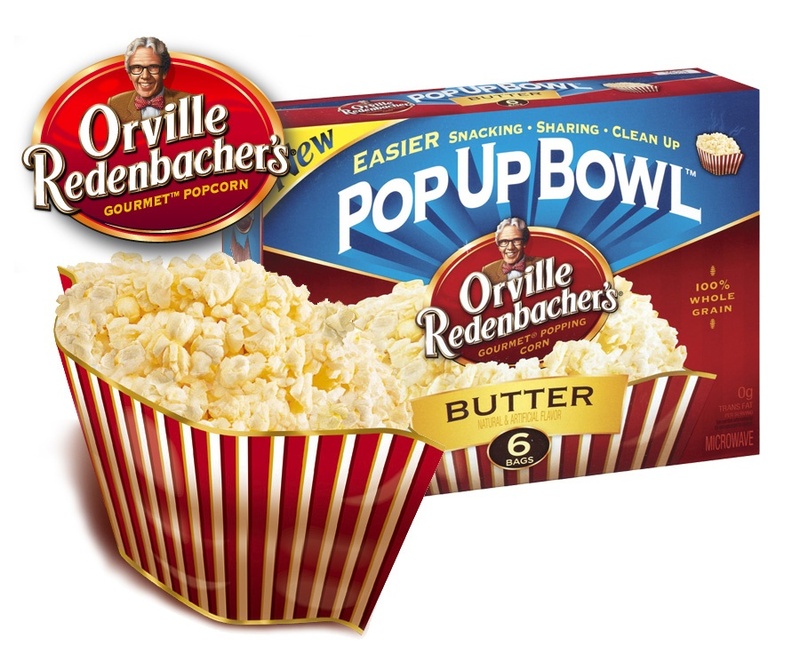 And Orville varieties that made the switch to Pop Up Bowl packaging experienced a 9.5% baseline growth.